For any Hindu, Jain and Indian wedding a mandap stage is temporarily erected. 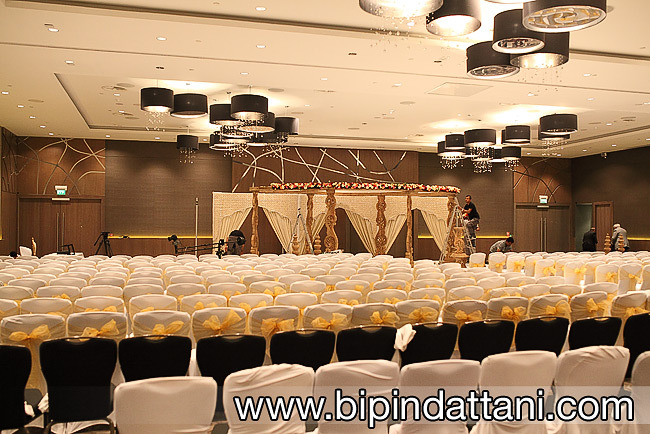 So choosing of wedding mandaps London the centre of attention for any bride’s family. After all this will be the holy covered structure with pillars in which the priest will conduct the wedding ceremony and in which the bride & groom perform sacred ritual ceremonies like Mangal Phera, Kanyadan, Jaimala, and Mangalsutra. 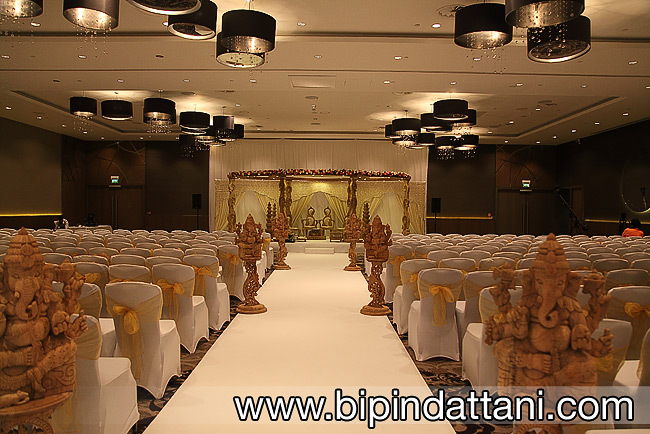 Wedding mandaps and stages are an integral part of any Indian marriage, just ask any bride & groom. 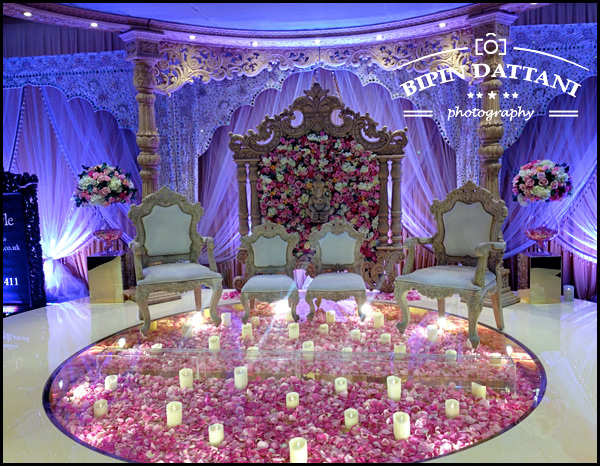 From the numerous mandap companies in London to hire from, Rahkee and Mihir picked Gayatri Weddings and Events who are experts in South Indian Wedding theme décor. 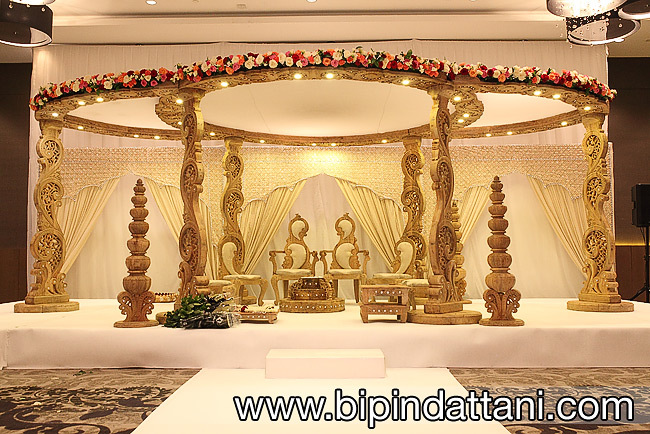 When my second photographer and I arrived at this prestigious venue, the team from Gayatri were busy setting up the size pillar curved wood mandap (or wedding stage). We captured couple of photos of the team setting up first, then left them to complete the decorations. After about an hour what followed was the finished decor at this popular wedding venue for indian weddings. No doubt as you can see from the pictures it looks stunning and as wedding mandaps decor go it is elegant, stylish and unique. I am sure when Rakhee & Mihir see the photos of mandap in an empty venue it will create a lasting impression for them. I am sure the guests were impressed and Gayatri Weddings & Events will be proud too.